Iomega ZIP, JAZ, and REV disks got you in a spin? Our friendly team is happy to help recover your data from these discs. 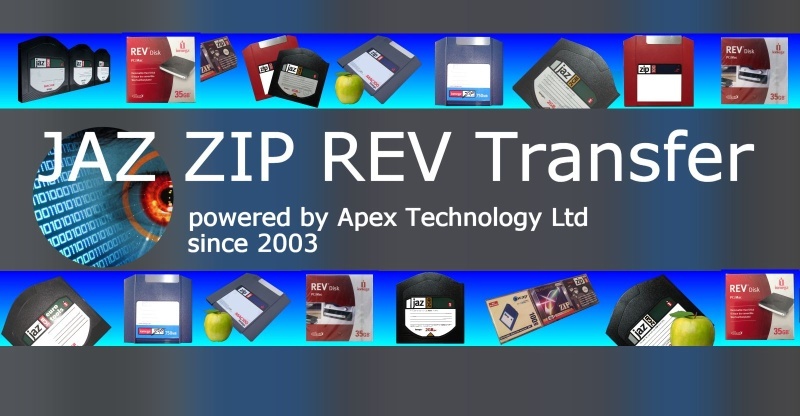 We have specialist knowledge for Iomega ZIP JAZ and REV disks written on Apple Mac, Windows PC, Linux, and transfer to CD DVD or convert stored files for use between pc and mac. We also read .1-step and Image.113 backup files. 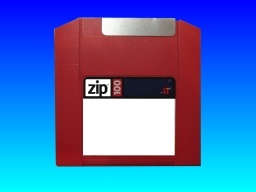 A popular conversion is to take photo / media/ printing press files / quark old mac zip or jaz disks and place them on cd for use in newer apple mac G3 G4 G5 computers which don't have scsi interfaces support. Alternatively similar process for Windows PC who no longer have access to Jaz Zip drives. Click for Jaz, Zip, Ditto Disk Transfer & Data Recovery News. Click for Jaz, Zip, Ditto Disk Transfer & Data Recovery Reviews. Some ZIP and Jaz disks store files in an archive file called "IMAGE.113". We can recover files by parsing the .113 extension file and save them to say USB or download email. The Image.113 file is a compressed store for the original files that were written to the disk. Iomega made both products. The Zip disk covers 100mb 250mb 750mb, and contain a reflective spot underneath which differs on the three media sizes to prevent a larger disk being inserted into a smaller capacity drive. The disks are built on similar principle to floppy disks - ie a thin magnetic coated disk surrounded by hard plastic case about 90mm 9cm or 3.5 inch square. 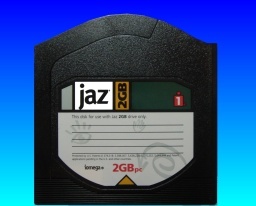 The Jaz cartridge disks are built using solid platters and are much thicker than zip disks but still follow 3½-inch size. Many are used in SCSI form on Apple Mac computers for backup/archive of photographs or image files as well as in multimedia printing systems. Iomega Rev drives have superceded the Jaz drive. Windows prompts you to format. Floppy disk that contains bad clusters. Accidentally deleted files on floppy disk. Undelete files on the floppy disk. Zip, Jaz and Rev Disks Transfer, Conversion, and Data Recovery problems that we recover data from are listed below. zip disk transfer, jaz disk transfer, rev disk transfer, zip disk conversion, jaz disk conversion, rev disk conversion, Image.113 file recovery, .1-step backup, Iomega disk conversion. We transfer files from Rev Zip Jaz Disks and Recover Data from Image.113 and .1-step backup files. Also read Mac formatted and unreadable or corrupt disks.